This exhibition consists of photographic work by Suzanne Lacy, Susan McEachern, Frances Robson, Honor Kever Rogers. What the four artists in this exhibition share is an exploration of alternative imagery of women's lived experience: imagery that considers the aging process, friendship between women, life after motherhood, and the desire to restate the terms of domesticity. Supported by the Canada Council and the Hamber Foundation in Vancouver. A publication was published by Presentation House Gallery in conjunction with the exhibition, with an essay by guest curator Joan Borsa. The exhibition will travel to Mercer Union in Toronto, November 15 – December 10. 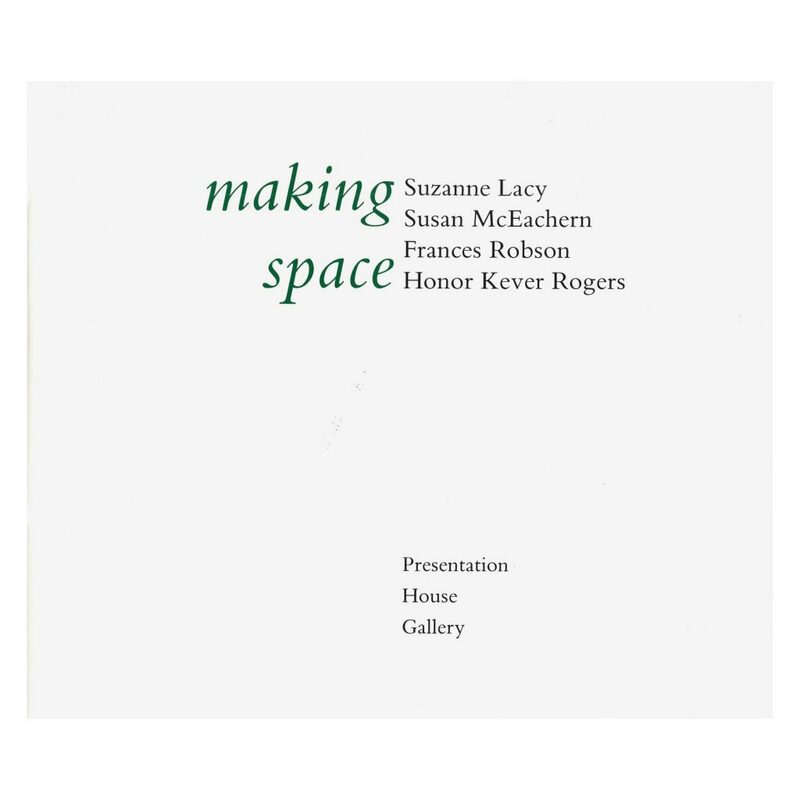 The publication produced for the 1988 exhibition Making Space with works by Suzanne Lacy, Susan McEachern, Frances Robson and Honor Kever Rogers. What the four artists in this exhibition share is an exploration of alternative imagery of women's lived experience: imagery that considers the aging process, friendship between women, life after motherhood, and the desire to restate the terms of domesticity. Essay by guest curator Joan Borsa; artists' statements.